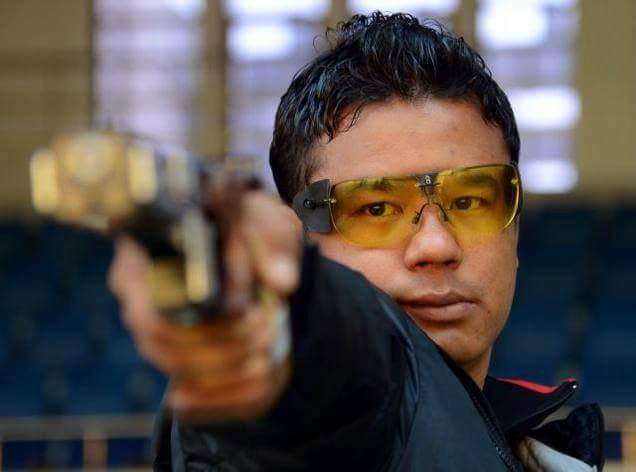 Veteran pistol shooters Pemba Tamang of the army and Samaresh Jung of theh CISF won gold and bronze respectively in mens 25m centre fire pistol event at the Sardar Sajjan Singh Sethi Memorial Masters Shooting competition yesterday. Pemba shot a score of 579 in the final. 2016 Junior World Cup gold medalist Anhad Jawanda of Punjab won the silver, shooting 578, while Samaresh shot 576 to settle for the bronze at Dr Karni Singh Shooting Range. Anhad, however, won gold in the corresponding junior men's event, getting the better of talented Haryana youngster Anish 578-756 in the final. Karan Sheoyran of the Navy won the bronze with a score of 568.